1. In order to enter you must follow me on Google Friend Connect (publicly) - The place to do that is on the right hand side of my blog - you can't miss it. 2. You must be in the continental US, Canada, or Mexico. There are restrictions on sending polish via mail... I promise I'll work on this for the next big give-away. 3. You can earn extra entries by doing several things like following on Twitter, re-blogging the give-away, leaving a blog comment. Do as many as you want or don't want :) Just make sure you're following on GFC or you won't qualify! That's it! 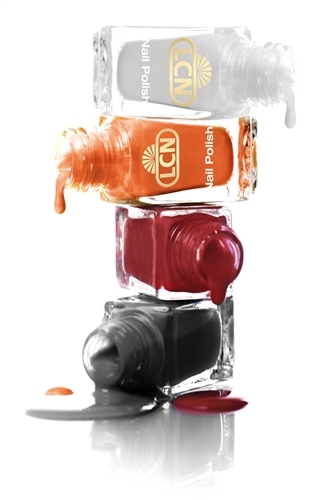 The lucky winner will be announced October 2nd along with the 4 mystery prizes :) For now, here's the LCN polishes that I'll be giving away. Don't forget to enter between now and October 2nd! Good Luck!! HAPPY ONE YEAR ANNIVERSARY!! Thats so exciting! Congrats on 1 year!! I love your blog! My favorite color of nail polish is...hmm...I don't know--I love them all! Right now, I'm wearing Sinful Colors Cinderella, and loving it. Can't wait to see you back in da 'burgh in Oct. (one of my favorite months, to be sure!) Maybe we could set something up to do some spooky Halloween nails? Anywho... my favorite nail polish at the moment is Orly Passion Fruit. Also, just bought these puppies (http://www.etsy.com/listing/101814103/geisha-girls-nail-art-water-transfer) and looking forward to trying them out! I've nominated you for a Liebster Award :) follow the link below to my latest post..
That is a sweet set of nail polish! Halloween is my FAVORITE! :) Congrats on your one year of blogging!